After San Luis Obispo rancher Ernie Dalidio fought a multi-decade battle to develop his property and lost, developer Gary Grossman, by most indications, will gain relatively speedy approval for a residential and commercial project he has proposed at the location. 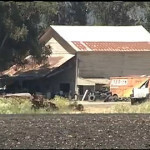 On Tuesday night, the San Luis Obispo City Council voted unanimously to instruct staff to begin working on development agreements with Grossman, who now owns the former Dalidio ranch located between Highway 101 and Madonna Road. Grossman plans to build 46 acres of housing, a hotel and convention center and commercial office space on the San Luis Obispo Ranch. The property is located in county jurisdiction, but the council indicated initial support for annexing it into the city. “This project belongs in the city,” Councilman John Ashbaugh said. But, Ashbaugh and Mayor Jan Marx, especially, expect Grossman to return with a plan that includes more agricultural and open space than currently proposed. Grossman’s current plan calls for leaving 56.5 acres of the 131.3-acre property as agricultural and open space. Previously, Marx voted to restrict Dalidio’s development of the property after she helped run a secretive electoral campaign also aimed at limiting the San Luis Obispo rancher’s use of his property. In 2010, the California Fair Political Practices Commission fined potential business competitors of Dalidio, Tom and Jim Copeland, $80,000 for campaign law violations they committed while trying to sabotage the development. On Tuesday night, Marx said she did not want to rehash the controversy. “We do not need to go back to the bad old days,” Marx said. Unlike Dalidio, Grossman has considerable political clout. Grossman has already donated more than $14,000 to the 2014 election campaign of recently appointed County Supervisor Caren Ray. He has also donated recently to Supervisor Adam Hill. Ray, Hill and Chairman Bruce Gibson, each Democrats, form the current board of supervisors majority. They are aligned politically with the Democratic city council majority of Marx, Ashbaugh and Councilwoman Carlyn Christianson, who formerly served as Hill’s planning commissioner. Councilman Dan Carpenter, who tends to vote against the council majority, indicated the most support among council members for Grossman’s project. everyone who voted his project down screwed all of us out of THIRTY ACRES OF GREEN SPACE that Ernie agreed to purchase to offset his project, we will see how the new deal measures up with the one that was derailed. As with any major crime all you have to do is follow the money. In the past at least they would try to hide it. Now they just do it out in the open with no regard for ethics at all. I guess that is what they mean when they say San Luis Obispo is the nicest city, but for who? I’d put the entire property into a deed restriction that would disallow any developement for a thousand years then sit back. I would bet that in ten years the city would be taking legal action to force developement. I don’t beleive the City of SLO can afford no growth. “It’s an investment,” Carpenter said. “He has the vested right to have a return on his investment.” and are you saying Ernie didn’t. “On Tuesday night, Marx said she did not want to rehash the controversy. “We do not need to go back to the bad old days,” Marx said.” This from our Honorable Mayor, the lawyer, who run the campaign for the Copeland Brothers against Ernie that was illegal. Yea, I bet you don’t want to go back there. What a group of misfits: Adam Hill and Dee Torres, Bruce Gilson and Cherie Aispuro (his office assistant), Jan and Steve Marx the draft dodger – pot smokers, Ray Caren and her hash runner friends just to mention a few, and of course the County Democratic Party that they all belong to. San Luis Obispo County should be proud of it’s finest politicians. Proof that government can be bought for the right price. The mayor was secretly blocking any progress to move the prior Dalidio project forward even after the voters approved of the project. Pay close attention to how the council and the Supervisors vote on this project now that Grossman has contributed to Ray, Hill and Gibson. I’m sure there’s more green grease that has yet to be exposed that will allow this project to move quickly through the approval process. I would like to thank all of the folks that go to the various meetings to speak out on these issues. Most of us cannot afford to take the time to attend them for ourselves. Unfortunately, when I view the Board of Supervisors meetings the overwhelming feeling I get is that they’re on ignore mode and don’t listen to anything presented as shown by the lack of response from the Board after public comment. A final note, the consent agenda misused as a tool to pass items on the sly that should be vetted publicly. With all due respect Dan, “It’s an investment,He has the vested right to have a return on his investment.”, the developer doesn’t have a vested right to sh*t within the City. Funny how their tunes change when a developer throws money at them. “Political Clout” is just another phrase meaning Bribery.